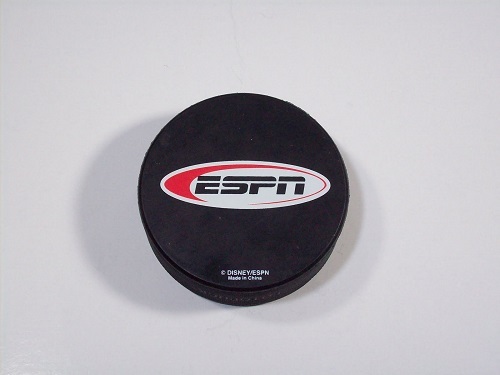 For us hockey junkies, the opening of NHL training camps across North America is a welcome sight. 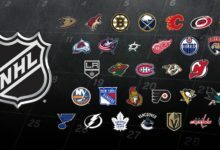 We’re a month away from the beginning of the regular season, and each of the thirty teams have their own wrinkles and storylines heading in to the 2015-16 campaign. Here are the top ten on-ice storylines (obviously the Patrick Kane situation will be monitored heavily) to keep your eye on as the month of September progresses. 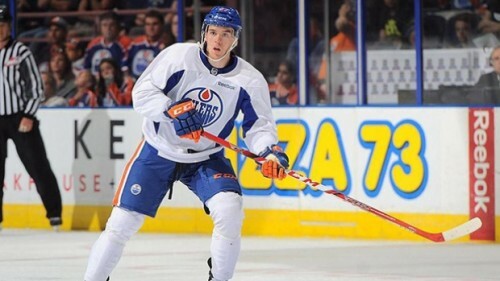 -When a generational talent like Connor McDavid comes along, it seems like his every move of that first season is documented. Considering he landed in Edmonton, a hockey market starving for a playoff appearance (it’s been nine seasons since they played Carolina in the Stanley Cup Finals), he’ll be under the microscope constantly, both on and off the ice. It will be fun to watch who he develops chemistry with and how he handles the spotlight. It’s up to new head coach Todd McLellan to figure out how to get the right mix with the bevy of young talent on the roster. Goaltending has been an issue in Edmonton over the past few seasons, and all eyes will be on Cam Talbot to deliver the same way he did for the New York Rangers when Henrik Lundqvist was hurt last season. -When one of the best hockey coaches in recent memory leaves one storied franchise to try and turn around another, it’s bound to draw a lot of attention. 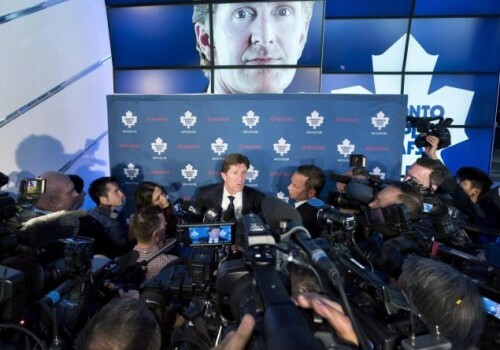 Mike Babcock has his work cut out for him in Toronto after ten seasons in Detroit, but not even the staunchest critic can expect anything more than a hard-working and accountable team in his first season. Coaching in Hockeytown is a big deal, and Babcock has coached on some other big stages, but the Olympics and international tournaments only last for a few weeks. How he handles the Toronto fishbowl over the course of an eighty-two game season will be worth following, even if you’re not a Leafs fan. -A ton of attention surrounded Connor McDavid heading in to the 2015 Draft, but Eichel was almost always talked about in the next paragraph or segment. Whether they like it or not, their seasons will be charted next to one another’s for years to come. 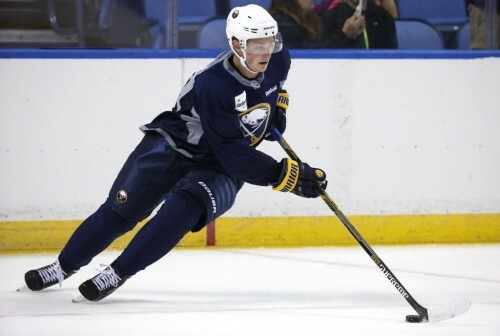 Like McDavid, Eichel will also have a first year coach behind the bench in Buffalo in Dan Bylsma. Buffalo Bills Head Coach Rex Ryan will grab plenty of backpages this Autumn and Winter, but chronicling Eichel’s rookie season will be right there next to him. The acquisition of Ryan O’Reilly allows Eichel to develop on the second line and it takes some of the pressure off of him. Robin Lehner is getting the keys to the crease, and it’s his job to win or lose with no established vet or strong prospect breathing down his neck. -Phil Kessel went from a city where he couldn’t pick a favorite ice cream flavor without scrutiny, to a town where his biggest concern will be if he can develop chemistry with either Sidney Crosby or Evgeni Malkin (some problem to have). The Penguins acquired some other players that will make them a deeper, better playoff team (Nick Bonino, Eric Fehr, Matt Cullen), but Kessel could make an already great offensive team terrifying. People are expecting a forty goal season from the former Leaf, and it’s a mark he should hit if he stays healthy over the course of the season. 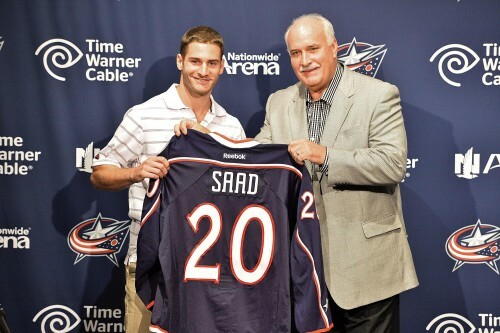 -It came as a shock to many Blackhawks fans when Brandon Saad was traded to the Columbus Blue Jackets right before the 2015 Free Agency period. The Pittsburgh-native can now call his former hometown team rivals with the shift in to the Metropolitan Division. Columbus has a very gritty roster, and adding Saad gives them a great player on the rise to complement Ryan Johansen. With the way Columbus finished the 2014-15 season, and considering the amount of games they lost to injury last season, they will be a team many pick to finish higher in the Metro this season. -Andrew Hammond was a rock star in Canada last Spring, and deservedly so. The 27 year-old rookie went 20-1-2 down the stretch for Ottawa, and was one of the main reasons they earned a Wild Card spot in the playoffs. 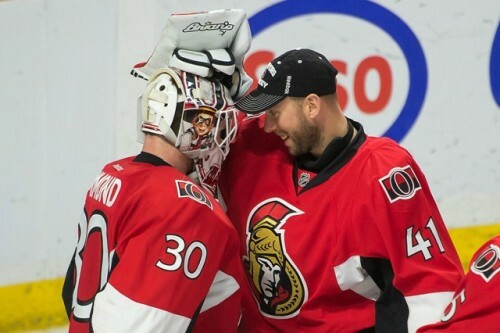 Injuries create opportunities, and Hammond got his when Craig Anderson went down with an injury. 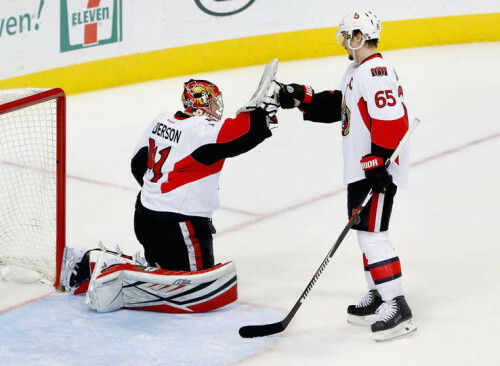 Anderson is the reliable veteran presence who returned to the crease in the first round against Montreal when the Hamburgler cooled off. Anderson has the edge to start the season, but head coach Dave Cameron might be quicker to go to Hammond than the average backup goalie if Anderson falters at all. 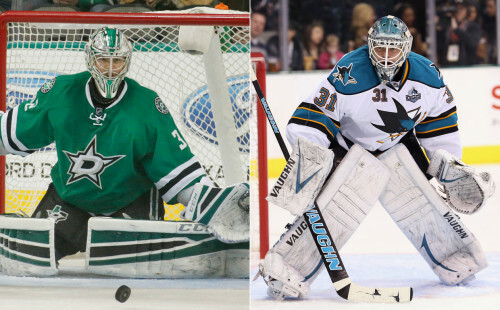 Both goalies have two years remaining on their contracts. -After making the playoffs in 2013-14, Dallas took a step back and missed the playoffs last season. One of the reasons the team regressed was a lack of consistent play between the pipes, so GM Jim Nill went out and signed former Sharks goalie Antti Niemi. There will definitely be a competition between Niemi and current goalie Kari Lehtonen, but it remains to be seen if Head Coach Lindy Ruff will have a bona fide number one, or if he’ll go with more of a committee/hot-hand approach with the Finnish netminders. While it might be Lehtonen’s job to lose on paper, I have a feeling Niemi will at least be the 1A to Lehtonen’s 1B if he doesn’t win the job outright. 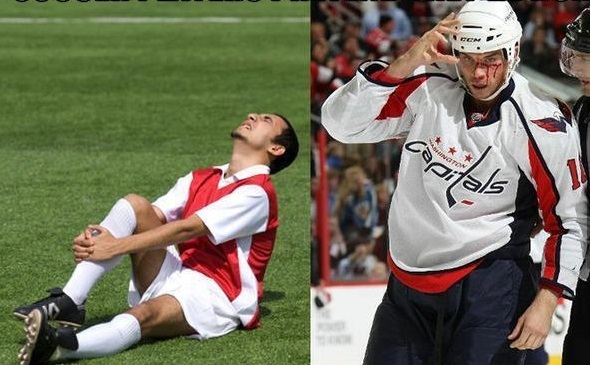 -There’s no doubt that Nicklas Backstrom will be centering Alexander Ovechkin. That’s been the case for a while now. Capitals GM Brian MacLellan added two guys this off-season that are the leading candidates to play on the right wing on Washington’s top line. Justin Williams is a clutch scorer who won two Stanley Cups in Los Angeles. Even though his numbers declined last year, playing on a line with Ovie could rejuvenate him a bit. 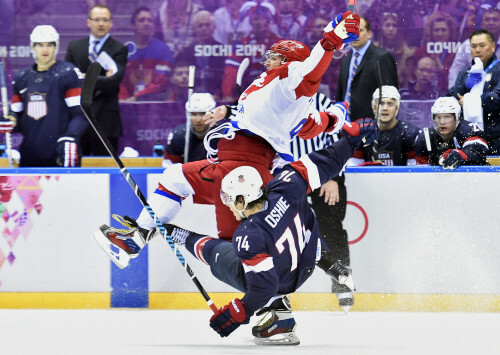 The other candidate is former St. Louis Blue TJ Oshie. Oshie’s creativity and play-making ability make him a better fit on paper, but it’ll all depend on who has the better chemistry on the ice in the coming weeks. -No one expects much from the Hurricanes this season, but one of the biggest decisions they’ll have to make early on is what to do with 2015 fifth overall pick Noah Hanifin. He could either start his career with the big club and take his learning lumps along the way, or let him develop at a lower level. Despite the injury that will keep him out of the Traverse City Prospects Tournament, Hanifin will still be able to participate in training camp. The spot is Hanifin’s for the taking on a weak blueline, but defensemen also require a little extra seasoning when transitioning to the pro level. Expecting a rookie season on par with what Aaron Ekblad did in Florida last season (12 goals, 27 assists, +12) might be a little much, but the eighteen year old has the talent to start the season in Raleigh and grow. 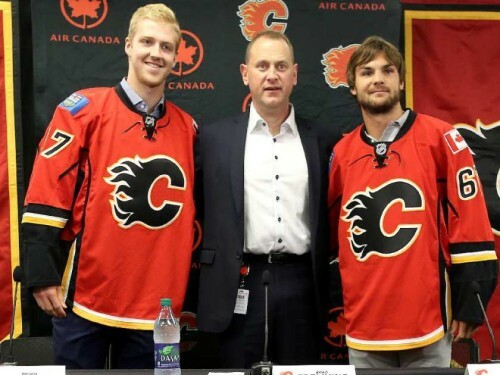 -The Calgary Flames were the darlings of the NHL last season. 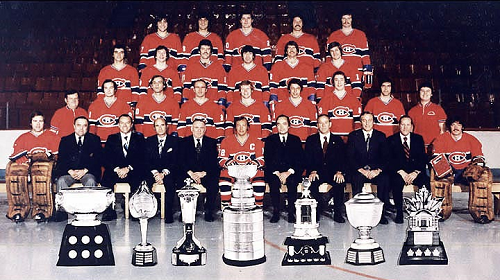 They went from a team clearly in rebuild mode, to a group of young guns that were playing good hockey, to a team that made it to the second round of the playoffs. GM Brad Treliving added another young stud this season when he traded away his first round pick to Boston to acquire 22-year old defenseman Dougie Hamilton. If Hamilton continues to progress along with the likes of Johnny Gaudreau, Sam Bennett, and Sean Monahan, Calgary could be one of the scariest teams in the West. Everything is in place for Calgary to be better this season, but the team will need to display the maturity to not take a step back.